Its the weekend again and that usually means a sunrise with the sundance crew and todays certainly did not disappoint! 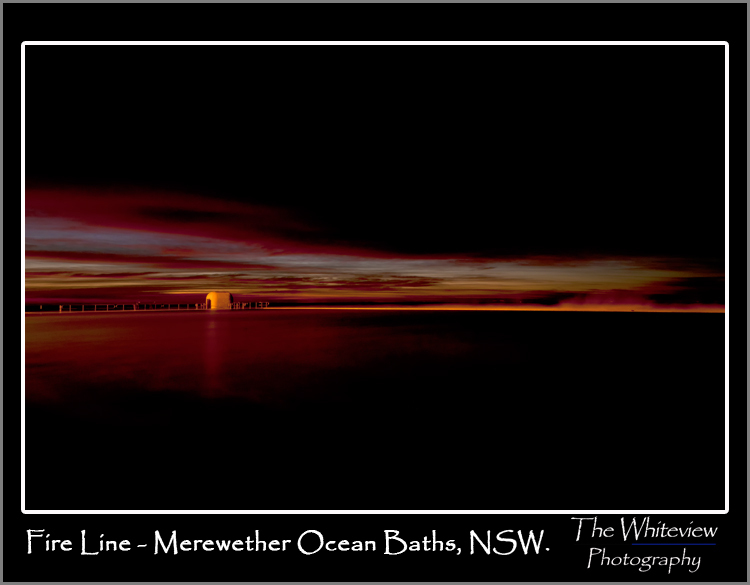 We headed to Merewether, a suburb of Newcastle, with superb beaches and at the southern end the Merewether Ocean Baths, apparently the largest ocean baths in the southern hemisphere. 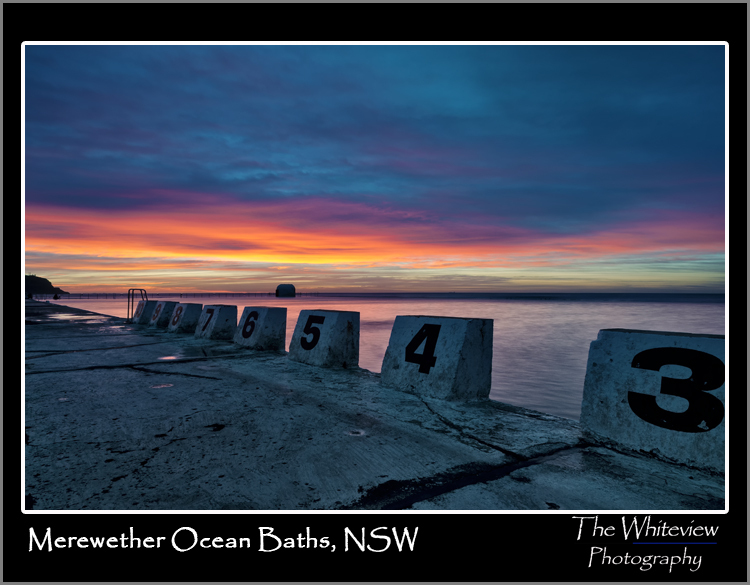 The baths and beach are a regular haunt for sundance sunrise events, so this morning about 25 photographers spread themselves out around the baths and along the beach looking to capture ‘that’ moment. Arriving at about 5.30am there was already colour on the horizon with some cloud hanging around so we were hopeful the colour would stick around for us. This was my first shot of the morning. I love how the colour has been picked up by the edge of the baths and caught the breaking waves against the back of the pool, so it looks like the pool is on fire. 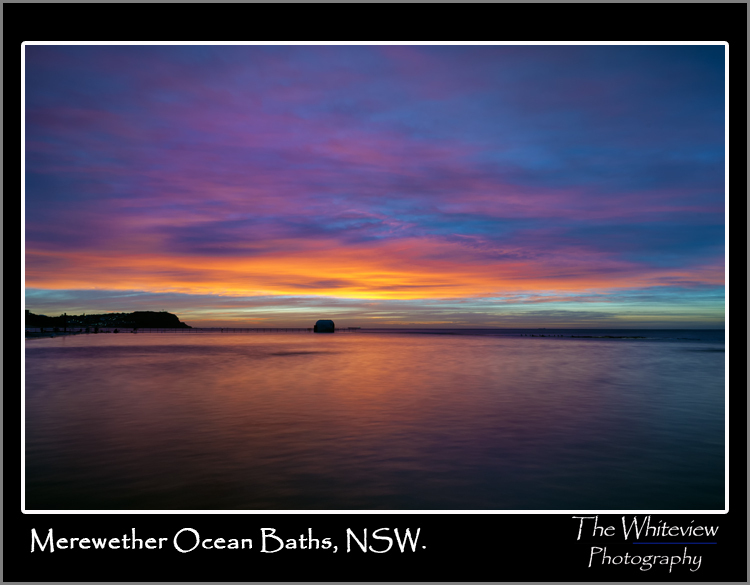 The clouds break up a little off the horizon and then lit up fire engine red and a cracker sunrise followed.